It's another bluebird day at Brokeback Mountain Ski Area. The storm has deposited three feet of fresh snow. Take a note all you white stuff seekers. It's a perfect time to come out. Our brand new backside terrain is a real hit with skiers. But Jack's Bowls are not for everyone. These steep aspen glades are only suitable for a hardened outdorsman who knows how to cruise the woods safely. We're happy to announce the opening of the ice skate coral at Clear Lake. You can read more about this exciting apres ski spot here. Whether you're just making your first steps on skis or you're an expert skier our mountain has lots to offer. 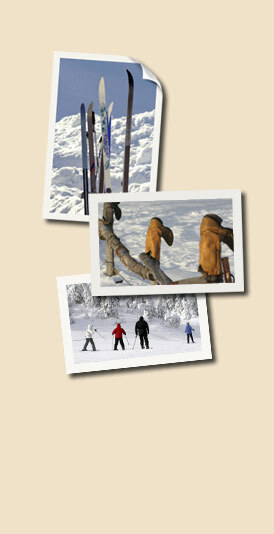 From steep runs off Jack's Notch to the gentle slopes of Little Queen we are first and foremost a family resort.